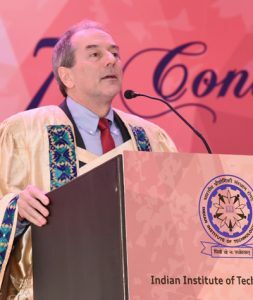 John H. Lienhard V, Abdul Latif Jameel Professor of Water and Mechanical Engineering and Director of J-WAFS, MIT delivered an opening speech at the Indian Institute of Technology Ropar (IIT Ropar) as chief guest and convocation speaker for the Institute’s seventh annual convocation on December 3, 2018. Click here to watch the full address. (The article text is modified from the speech delivered). During the past decade I have travelled quite a lot as part of my work for MIT. I have been to more than 30 countries on six continents. People often ask me what is different between these countries. However, what’s more striking to me is how much is the same among all these people. Everywhere I go, people love their children, and they hope for good relations with their neighbors. Everywhere I go, people work to provide for their families. Everywhere I go, people live in some kind of building, and they eat food, and they drink water. They mostly seem to have mobile phones and to travel in motor vehicles. Although their languages and faces can be very different, all these people are very much alike. All have the same desires and needs. In 1943, the psychologist Abraham Maslow proposed a universal hierarchy of human needs. He framed this as pyramid, in five horizontal layers. The layers range upward, from safety, through love and belonging, then to esteem, finally to self-actualization at the top. But at the very base of his pyramid, its foundation, Maslow placed our physiological needs, without which we cannot function: water, food, and shelter. These most basic needs must be met before any higher aims can be reached. Without water and food, you wouldn’t care about a mobile phone or a fancy car. In fact, if you didn’t have water and food, you would spend all of your time trying to find water and food. Your world would become very focused and very limited. When there were small numbers of people, our resources seemed abundant. And similarly, when there were few of us, the pollutants we might produce—smoke from fires or human waste—were easily dispersed into the environment. As our societies have advanced, our demand for resources has climbed—energy, water, and food consumption have grown even faster than our population. 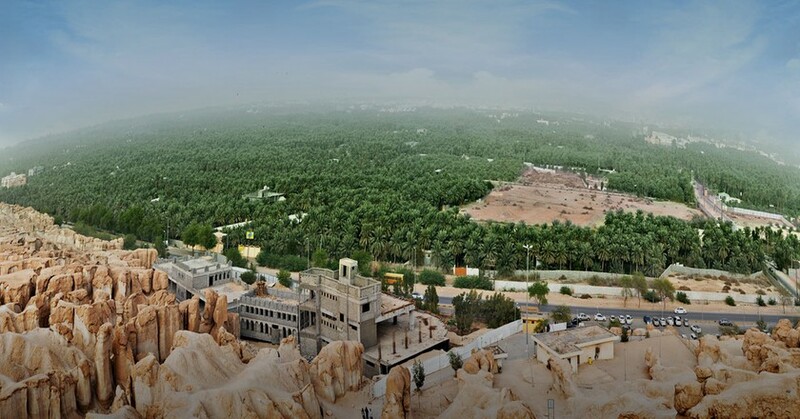 Rising life-styles have intensified resource consumption. We may drive or ride, rather than walk. We may eat richer, processed foods. We may replace a bucket and cup by a long hot shower. But behind this great progress, our growing demand for resources has created unprecedented challenges to the health of our environment. Our growing settlements need more fresh water than local sources can provide. We burn more fuel for energy, and the burning releases gases and particles into our atmosphere, sometimes choking the residents of our cities. Our industries and dwellings release wastes into our rivers and streams. We clear more and more land to grow the food that we need, while we convert more and more farms into cities to house all of us. The five warmest years of global temperature on record have all come since 2010, and 17 of the 18 warmest have occurred since 2001. The frequency of weather-related disasters—cyclones, floods, droughts, and wildfires—has increased by nearly a factor of 3 since 1980. Carbon dioxide in our atmosphere, an important heat trapping gas, is at the highest level ever measured, more than 400 ppm. Scientists estimate that this level has not been seen for 3 million years, a time when Earth was several degrees hotter and before the human race had even emerged. We can see easily that pollution is generated by many small sources: a power plant, a single factory, or even a two-wheeler. But we can also see that the implications are global: atmospheric gases circulate and mix over the entire planet, so that these many small sources add up to a world-wide problem. Climate change does not respect international boundaries. Climate change does not care about things that divide people—religion, race, or money. But solving climate change will require that people of all nationalities, all religions, and all races work together for a global solution. No one can solve this problem by working alone. Why does climate change matter? A warmer, more variable climate can damage our water and food supplies, those very needs which Maslow told us are most essential. These are difficult problems, but problems that can be solved. Intensification of agriculture is part of the solution. Biological science is enabling faster and more effective crop breeding than was possible by the traditional, slow path of hybridization. Better access to fertilizer is being enabled through new technologies, not all of which are complex. For example, engineers at MIT have developed a simple torrefaction reactor that can convert post-harvest waste into fertilizer—an alternative to burning—and this technology has been successfully deployed in Africa and is now being transferred to India. Apart from supply-side solutions, demand management provides results as well, without the need for new technologies. For example, one-third of the grain grown in the world simply feeds livestock. And some foods, such as meats, require more water to produce. For those who are not vegetarians, even a small movement toward a more plant-based diet can help reduce burden on water and agriculture. When large amounts of capital can be invested to build and carefully maintain water infrastructure, the unit cost of safe water is often lowest. But many good solutions are not costly or high-tech: something as simple and inexpensive as a check dam that can store enough water to let a farmer grow an additional crop cycle. We see a rising role for sensors that can detect bacteria in water or on food, and sensors that target arsenic or other toxins. In the near future, a mobile phone may be able to test whether water or food is safe before we consume it. And for food producers, MIT researchers have developed simple sensors to check milk for adulterationand to test soil for nutrients. Technology for water purification is increasingly precise and increasingly inexpensive. In the near future, we will be able to clean and reuse most waste water, and perhaps even recover valuable resources that are now lost in discharge. Perhaps one day we will even create a very low-cost, point-of-use water treatment that will provide everyone with universal access to clean water. Of course, any technology is useless if it is too expensive or if people will not accept it. Social context and economics are essential as well. These complex societal problems require interdisciplinary solutions. I know that the challenges I have outlined seem dire. But I also know that they can be solved, and that they will be solved if we work together. If we work together within our cities or communities, we can solve the problem of having reliable and safe water. If we work together within our states and nations, we can have robust, sustainable agricultural systems to nourish all of our citizens. And if the nations of the world work together, we can control and eventually reverse climate change. What is required is an understanding amongst us of what the challenges are. What is required is an agreement to look at problems scientifically, and not to let political biases prevent us from acknowledging dangers ahead. What is required is leadership: leadership in our communities, leadership in our businesses, and leadership in our governments. You ask me: where will these leaders come from? And I answer you: I’ve already met them — in classrooms and lecture halls, labs, start-up competitions, and conferences, all around the world. And as these students graduate and fully enter society, the responsibility to solve these problems will lie with them. And I have every confidence that these young people will rise to the challenge.